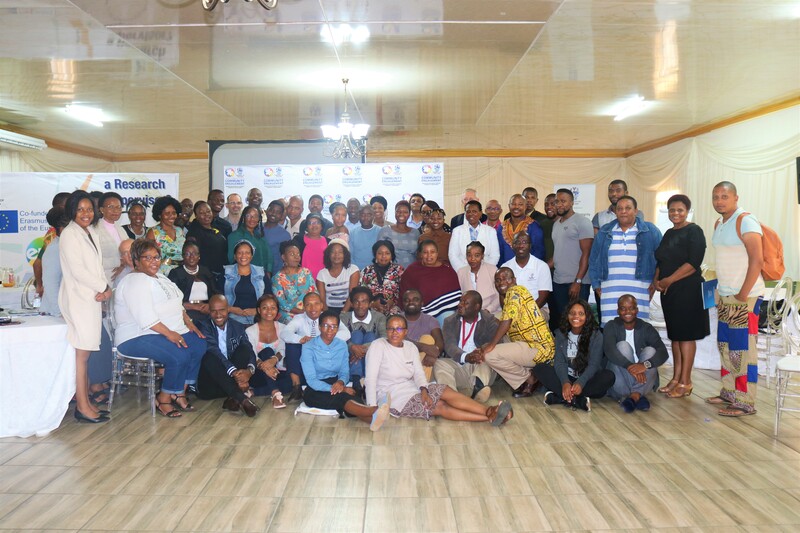 The University of Zululand (UNIZULU), through its Community Engagement Office, recently hosted a workshop on giving back to communities at the Ngamla Guest House, Empangeni, as part of its efforts to ensure that the wealth of knowledge generated by its academics is utilised to the benefit of the community it serves. In his address, Deputy Vice-Chancellor: Research and Innovation Professor Gideon De Wet encouraged close to 100 academics who attended the event to take considerable interest in giving back to communities. “Being in this profession means that we have a huge responsibility on how we can impact responsibly when we talk about engagement,” he said. According to Mammusa Lekoa, Community Engagement Manager, community engagement cannot be isolated as it involves science communication, research as well as teaching and learning. The mission of the Community Engagement Office supports commitment to the community by building a campus culture that promotes community engagement and socially responsible citizenship in UNIZULU and beyond. Through collaborations with faculty, individual students and student groups, administrators and community partners, the office seeks to engage with academics and create co-curricular opportunities that increase awareness and knowledge of, and skills for, engaged citizenship. “I endeavour to promote positive social change by educating the campus on current social issues and providing forums for honest and thoughtful discussion on community engagement topics. My mandate is very big and I need colleagues to multiply me,” said Lekoa. The event was a great success. Together postgraduate students who attended the event, academics actively participated in the various activities of the day which included roundtable discussions and a networking that featured more than six examples of faculty members’ community engagement work. UNIZULU academics and postgraduate students recently participated in a vital workshop on giving back to communities which was organised by the Community Engagement Office.